Home » Is Your Workplace Ready to Welcome Technology-Savvy Gen Z? 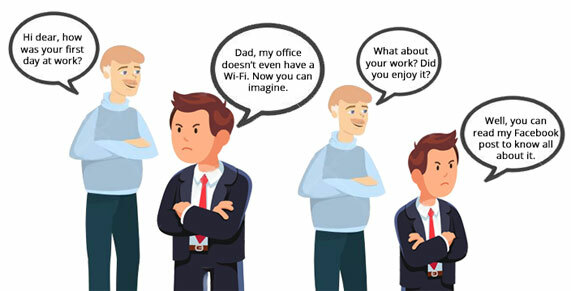 » Blog » Is Your Workplace Ready to Welcome Technology-Savvy Gen Z? Technology Savvy. Spontaneous. Emotionally Intelligent. Digital Natives. Practical. All these terms define Generation Z, or iGen, and their behaviour. 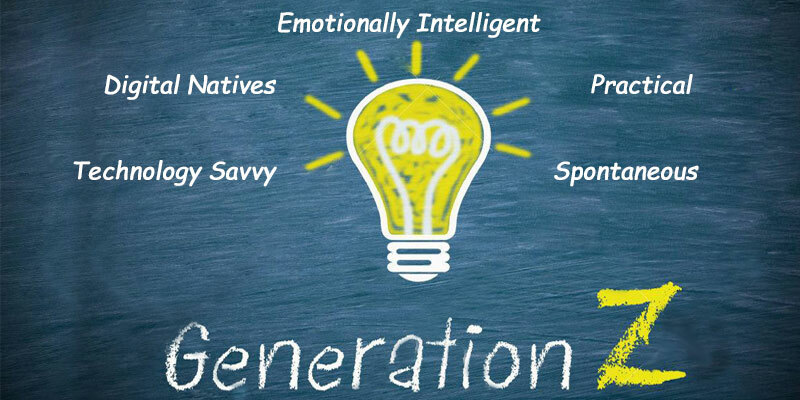 In a Forbes post, Gen Z has been referred as Post-Millennial generation categorizing people born from the mid-1990s to early 2000s, comprising of approximately 25 percent of total U.S. population. They are the larger cohort known so far, even when compared with Millennials or Baby Boomers. By 2020, they will comprise up to 40 percent of all consumers, forecasting to reach a mark of 2.56 million. iGen is the most connected generation, completely empowered by technology and innovation. Increasing popularity of smartphones and Internet has exposed this emerging generation to unprecedented amount of technology in their growing up years. It is an entitled group of individuals who believe that good things come their way because they’re deserving. These young Digital Natives use technology for connecting with friends & family, getting infinite knowledge and entertainment opportunities. They have the world at their fingertips. More than half of Gen Z spend approximately 10 hours online, playing games, educating themselves, responding to work messages, managing social media, connecting with outside world or merely for entertaining themselves. They are completely technology-dependent and are believed to hop between 3 to 5 screens throughout the day; i.e. TV, smartphone, desktop, laptop and tablet. Unsurprisingly, this new generation is born into an always connected world where technology offers limitless opportunities. This is the first generation that couldn’t enjoy life without Internet and hand-held devices. Technology is not an add-on for Gen Z, but a necessity. When surveyed, over 53 percent of 16 to 22 year-old accepted that they would happily give up their sense of smell to keep technology; because it allows them to sense the world. Generation Z is the new generation that has entered the workforce, preferring visuals over text. Since they have short attention span (ending up to 8 to 12 seconds), feeding them with interesting and visually-appealing content is advisable. Setting up a workplace where digital natives can enjoy better experience, learning, workplace equality, career growth opportunities over high compensation, is paramount. Study behavioural characteristics of this new cohort of soon-to-be employees to offer them emerging technologies and harness their true potential. How HR Tech Can Enrich Workplace Experience for Gen Z? Compared to the millennials, generation Z is expected to manage life and work differently. According to Inc., 91 percent of Gen Zers says that the technological sophistication of companies would directly impact their decision about where to accept an offer of employment. When addressing to the needs of iGen, HR leaders need to think creatively to feed their curiosity and be ready with tools to offer constant digital connectedness, flexible work-life balance, transparent workplace processes, clear communication channels, ongoing performance feedback and mentoring system, culture of continuous learning and development. The most successful employers would be the ones having sufficient resources to engage this group and provide them with immediate beneficial experiences. Job-hopping trend is on the rise. Dissatisfied employees are making lateral moves to new employers, without even giving a second thought. In the coming years, attracting and retaining top talent would be even tougher. We are living in an age when it’s normal for a person to check mobile phone for more than 150 times a day. Internet-enabled devices have made it easy to track fitness and diet goals using apps. Wouldn’t it be great if these young Digital Natives can set and track their performance goals in the same way, in just few clicks, using hand-held gadgets? Well-defined goals and its continuous evaluation would help in keeping them better focused for longer period. With the gamification around, setting and tracking performance goals can keep this generation more interested in work and enhance their productivity. In a Robert Half survey, 64 percent of Gen Z respondents cited the importance of career opportunities in selecting a job. Apart from a positive and healthy work environment, they expect the employers to offer skill and behavior development opportunities. Providing frequent feedback, implementing weekly or monthly checks-ins, conducting training and learning programs is necessary to keep this workforce satisfied and happy. Managers and HR leaders need to help the emerging workforce with technology-enabled work environment where they can recognize and explore opportunities in their current workplace, without having the need to switch employers. Being armed with necessary knowledge and HR tools to support career advancement can be the possible resort, to attract and retain this generation. Make this new generation exceptional team players by being transparent about your company’s goals and achievements. Provide excellent digital employee experiences to confirm low employee turnover, improve real-time-productivity and empower the workforce. The war for top talent doesn’t seem to be getting over any sooner. HR needs to understand Gen Z and implement ways to harness this new talent and bring positive business outcomes.